Politics: Will Increased Sewer Fees Help the Indian River Lagoon or Jeopardize Brevard School Tax? 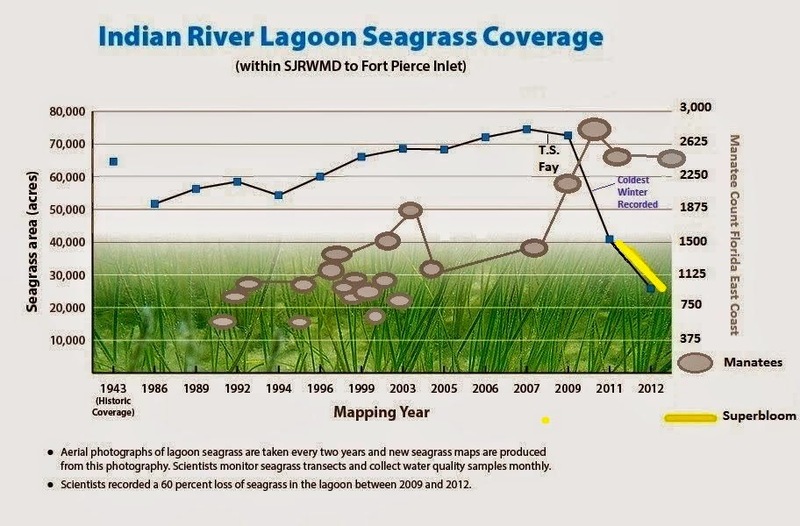 Will Increased Sewer Fees Help the Indian River Lagoon or Jeopardize Brevard School Tax? UPDATE: The County Commission voted 4 to 1 to increase the stormwater fee from $36 to $52 for the next two years, followed by an increase to $64 in the third year. A proposal to raise the minimum stormwater fee to $5 did not pass. Commissioner Trudie Infantini was the sole no vote. VIERA, Florida -- On the Brevard County Commission Agenda at 5:00 p.m. on Thursday, April 3, is a proposal to raise the stormwater fee assessed on properties in Brevard County from $36 to $64. The proposed sewer fee increase comes during the same year when there is also a proposal to increase fire fees. Later in 2014, voters will decide in November whether to add a half-cent sales tax for schools. "Should we build a tourist welcome center at a cost of $3,000,000; pay the Washington Nationals $29,000,000 to stay; pay $6,500,000 toward the construction of a shopping mall/office building/movie theater or spend the money to reduce runoff to the lagoon?" Brevard County Commissioner Trudie Infantini wrote in an email. "Prioritization is the problem in my opinion. So I will NOT support taxing individuals more when we, as a Board, cannot prioritize the spending of funds we already have." "Should the Board approve the proposed increase, these funds will be applied toward efforts to restore the Indian River Lagoon. These funds will be applied using proven technologies and programs to provide results by reducing future pollution, removing existing pollution and sources of much; and restoring the ecosystem; all of which will be guided by the best available research." 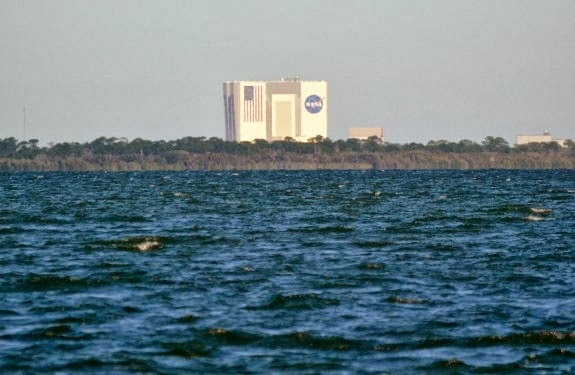 But the strongest evidence against those particular human-related common causes was the geographical location of the start of the Superbloom in the northernmost portion of the Banana River that is bordered by sparse populations because the Kennedy Space Center, Cape Canaveral Air Force Station, Canaveral National Seashore, and the Merritt Island National Wildlife Refuge make up most of that area's landmass as shown in the above graphic. 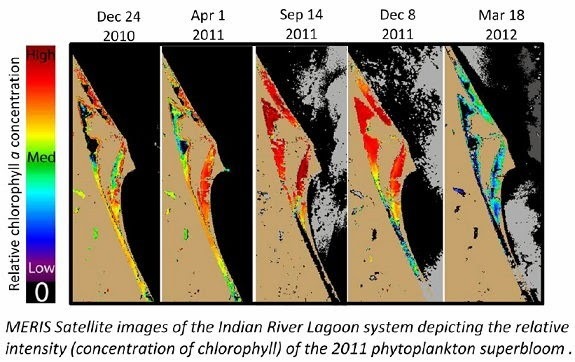 In fact, a 2003 scientific research paper titled Impacts of Reduced Salinity on Seagrasses in Indian River Lagoon published in the Journal of Phycology, an International Journal of Algal Research, stated that the northern Banana River is "an area of IRL considered the least anthropogenically impacted." 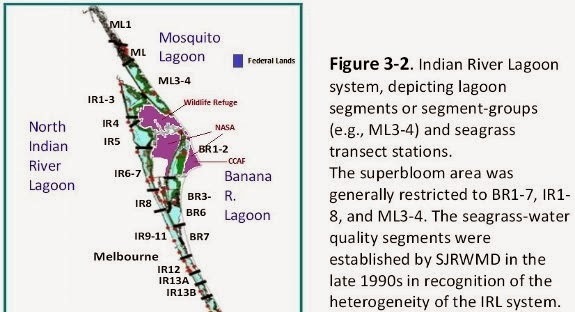 That's scientific jargon meaning that humans have little impact on that area of the Indian River Lagoon. However, just like in the sea turtle study, the record-breaking manatee population and corresponding increased seagrass consumption could have put enough pressure on the seagrass to reduce its ability to recover from unfavorable environmental conditions such as decreased salinity in the Lagoon from record-breaking rainfall caused by Tropical Storm Fay in 2008, the coldest winter on record in 2009-2010, drought conditions during 2009-2011 that caused land vegetation to die and decompose in the Lagoon, and the Superbloom during 2011-2012. The manatee population rebound has also resulted in a lack of genetic diversity where inbreeding could become a problem, according to UF researchers.